Thanks to the amazing work of Advocacy Team members Kathleen Bartholomew MN, RN and Laura Stokowski MSN, RN, HR 3679, The National Nurse Act of 2011 gained several original co-sponsors during their visit in December to Capitol Hill. Kathleen and Laura delivered passionate and articulate presentations to several health policy staffers and successfully convinced them of the need to educate their bosses of the importance of signing on to the bill. Our team will be returning to Capitol Hill this March. If you are interested in joining us, please contact the NNNO Board . We welcome the participation of all as we move the bill forward and look forward to hearing from you! 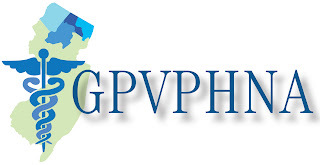 The Greater Passaic Valley Public Health Nurses Association is an organization of approximately forty-five Public Health Nurses from the northern New Jersey area. The current legislation establishing a National Nurse for Public Health has been among newsworthy items shared during monthly meetings. On April 28, 2011, our members unanimously moved to support the National Nurse Act of 2011 (HR 1119) with a letter and a monetary donation to NNNO to educate an elected official about HR 1119 and the benefits of establishing a National Nurse for Public Health. In the intervening months, Representatives E. Johnson and P. King took on the roles of the co-sponsors, and, when finally introduced on December 15, 2011, the bill had undergone a minor revision and been renumbered (HR 3679.) This letter is sent to reaffirm that, although names and numbers may have changed with time, support of the Greater Passaic Valley Public Health Nurses Association for the National Nurse Act of 2011 remains steadfast. 1. The National Nurse will strengthen public health principles and the public health nursing perspective at a higher level of government. 2. The National Nurse will be the voice of the collective tenets upon which all public health nurses base their practices. 3. The National Nurse will be a visible presence in the media to advocate for public health issues. The Greater Passaic Valley Public Health Nurses Association thanks the members of the National Nursing Network Organization for their tenacity and dedication to establishing the position of National Nurse for Public Health. Likewise, we are grateful for legislators who, after listening to this message, recognize the need for and opportunity presented by the National Nurse Act of 2011 (HR 3679.) We eagerly add our voice to this effort to help the National Nurse for Public Health become a reality. 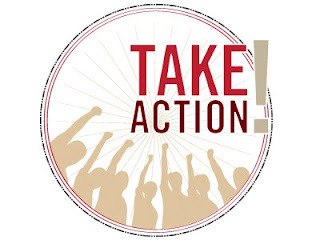 Many nurses and other supporters have contacted the NNNO Board of Directors to learn how they too may gain the support of their elected Representative to support HR 3679, The National Nurse Act of 2011. You may begin this process by visiting the Take Action link on the National Nurse website to obtain contact information for your elected officials. A phone script (as well as a template for writing a letter) is also available. The more calls and letters the US Representatives receive from their own constituents, the more likely they are to join this growing list of supporters. Need a class project? Are you an undergraduate or graduate nursing student looking for a project or a topic for your health policy class? We know from first hand experience that ONE nurse can really help make the difference in helping to gain an additional co-sponsor for this legislation and that could be you! It is as easy as organizing FIVE constituents (a constituent is a voter who resides in the district of the elected official) to make calls in support of HR 3679 to your US Representative’s DC or district office. It is also important to have FIVE additional voters send in written or emailed letters in support. Finally, we ask that you consider topping off your help by sending in a letter to the editor of your local paper. It is easy to take action! Email the NNNO Board if you would like a packet of information delivered via email that you can print and deliver directly to your US Representative’s District Office. We now have Talking Points available as well as a template that you can easily edit to submit your own letter to the editor. This is a great way to practice nursing activism while getting to know your own member of Congress.